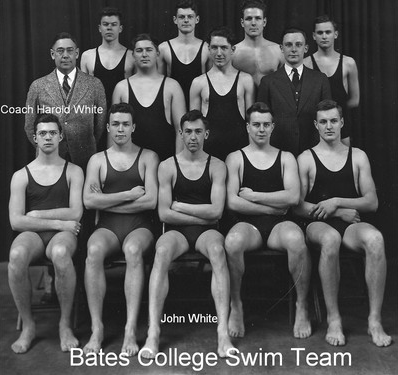 As you may all know, John was literally the Father of the Bates Swimming and Diving Family. 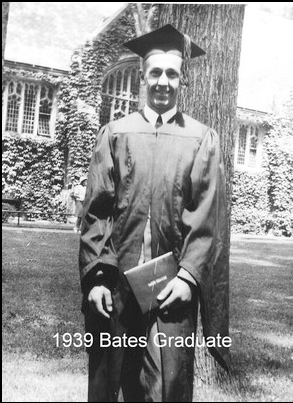 Starting this program up with his Dad as freshman in 1936, and staying connected to the team ever since, he was truly the best example of what a Batesie can be. These last two months he has suffered from an inoperable brain tumor, and just a few weeks ago while I was visiting he was making me laugh, telling me his family genealogy, giving me another history lesson in Bates Swimming, and explaining the difficulties of cross breeding iris's (his other huge passion). The man was still amazing, although extremely tired. 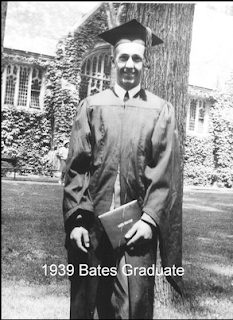 A Masters Swimming World Record Holder in several backstroke events, he mentioned how proud he was to be a part of this family, and how much Bates Swimming and Diving meant to him. We all benefited from John's stories, and the time he took to support us. He gave me his letter jacket from when he competed, his father's coaching sweater, and strong handshake. He also told me he hoped things would progress quickly as he was ready - and I could tell his current condition wasn't exactly his cup of tea. I am both saddened and thankful this day has arrived. If you have any memories, or notes you want to pass onto his family, please leave a comment, and I'll be sure to get them to his family. His newspaper write write up here. 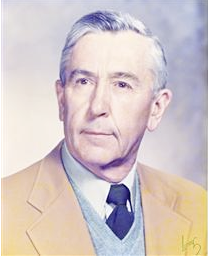 His obituary and family photos here. 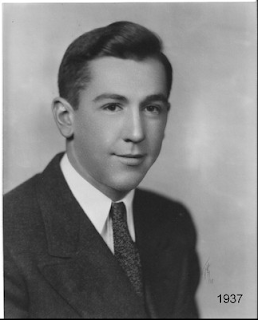 John W. died April 12. Visitation the Fortin Group/Auburn Thursday 2 to 4 and 7 to 9 p.m. A celebration of John's life will be held at High Street Congregational Church, 106 Pleasant St., Auburn, Friday at 3 p.m. Burial at Mt. Auburn Cemetery later this spring. In Mr. White's memory, donations may be made to Bates College Office of College Advancement (Swimming and Diving Team,) 2 Andrews Road, Lewiston, ME 04240, or American Red Cross, United Valley Chapter, P. O. Box 439, Auburn, ME 0421200439. You are invited to share your thoughts, condolences and fond memories with the White family by visiting their guest book at www.thefortingroupauburn.com. A service of The Fortin Group/Plummer & Merrill Funeral Home, Cremation and Monument Services, 217 Turner St., Auburn, 04210, 783-8545. I will always remember John White. 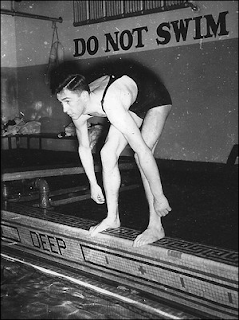 As a lifeguard I was always expecting him to come and swim during his usual time. I loved listening to his stories and he loved hearing about our team and the differences made in my 4 years at Bates. I was very sad to hear the news about John but know that he lived a very full life. John-thanks for being such a great role model and friend for all of us on the team!